Our collecting throughout the Caribbean has taken us to many islands. Before each trip we inquire about the local schools and arrange a trip to visit one or more. These trips are used to explain to the students why we are visiting their island, and why we value the wonderful biodiversity present. Bats are much maligned in the Caribbean and are often thought of as evil. Therefore, we try to explain their role in the environment, demonstrate why the islanders need them, and dispel myths about bats. 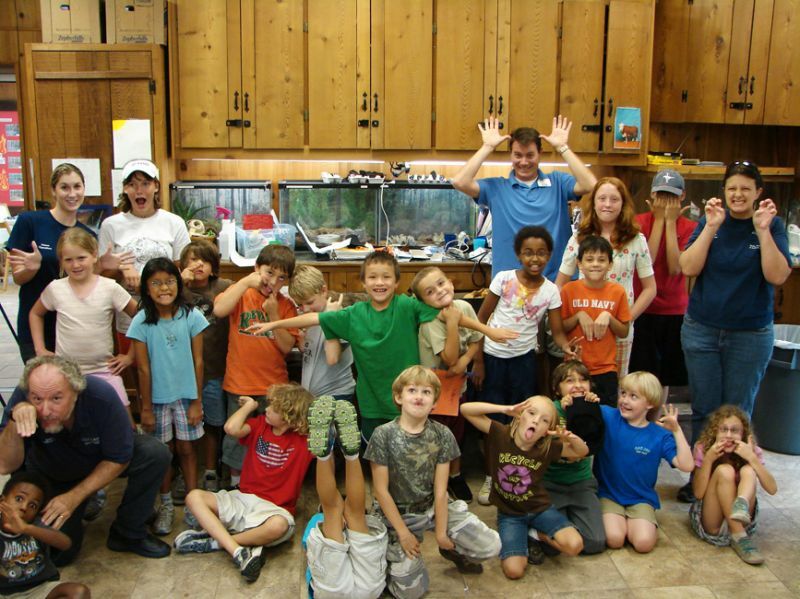 We always bring specimens of local bats with us to allow the children to see them up close–most never have. On a few occasions we have invited teachers and some high school students with us on evening bat netting expeditions. This outreach is part of a concerted effort to increase awareness and promote tolerance and understanding of these threatened and important creatures. 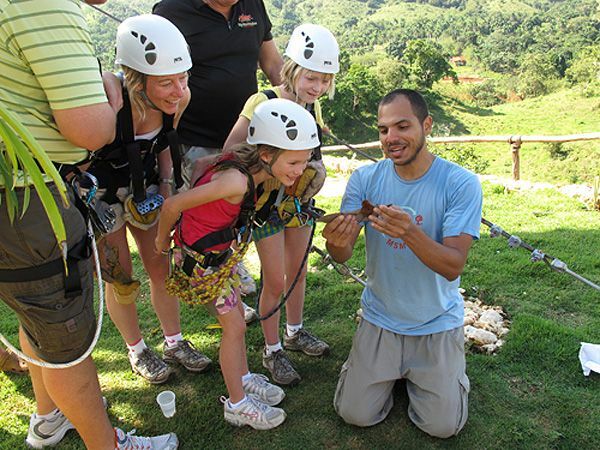 Angelo teaches visitors about local bat conservation at Monkey Jungle Park, Dominican Republic. 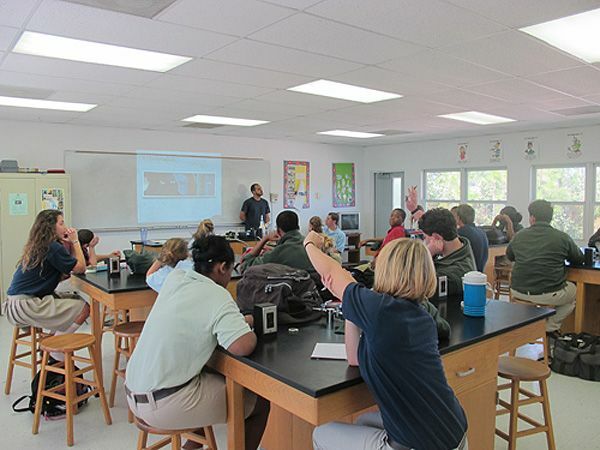 Angelo giving a lecture focusing on general bat biology at a local high school. Forest Heights Academy, Great Abaco, Bahamas. 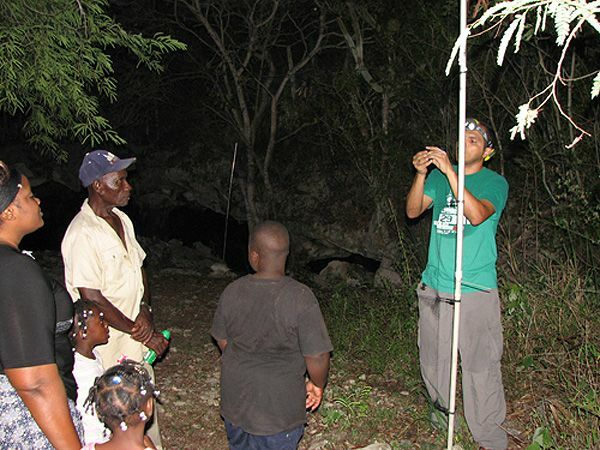 Angelo leading a field trip to teach locals about the diversity and importance of bats on islands. Conch Bar, Turks and Caicos Islands. 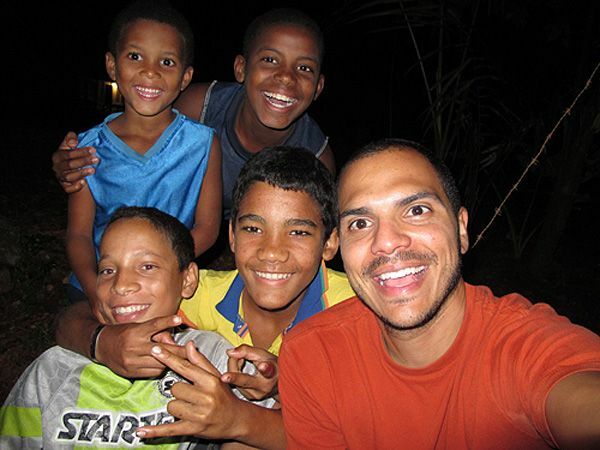 Angelo with local kids Brailin Nuñez, Peter Ceirbun, Ronald Sánchez, and Edwin Beatón learning and collecting bats on Bosque el Choco, Dominican Republic. 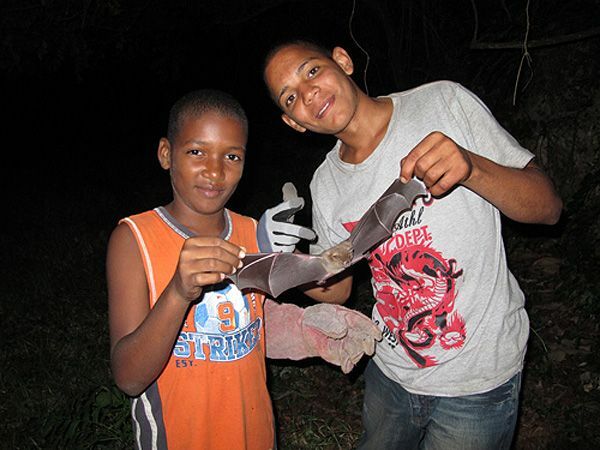 Juan Enrique and Raymundo Aquino showing their favorite bat of the night, Artibeus jamaicensis, on a field collecting trip with Angelo to Bayaguana, Dominican Republic. 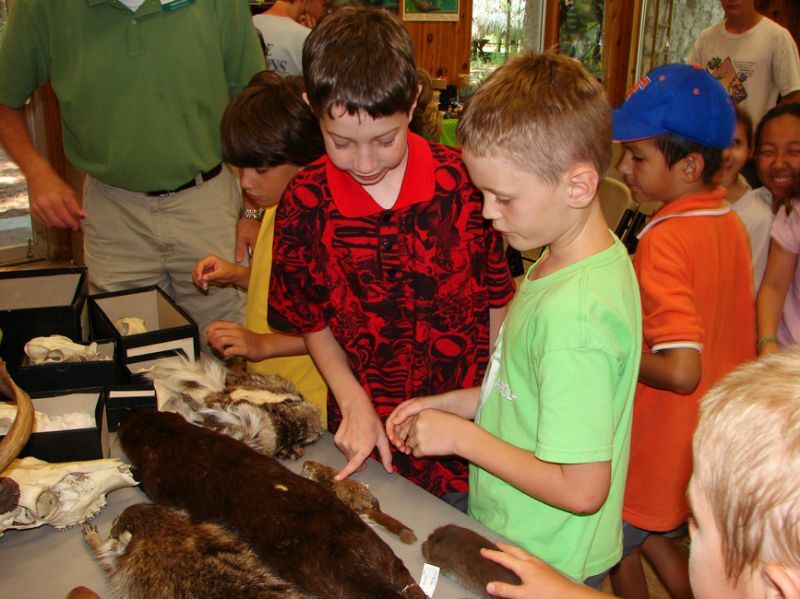 Each year, the Mammal Collection leads tours through the collection for students of the Summer Science Camp offered at Powell Hall. 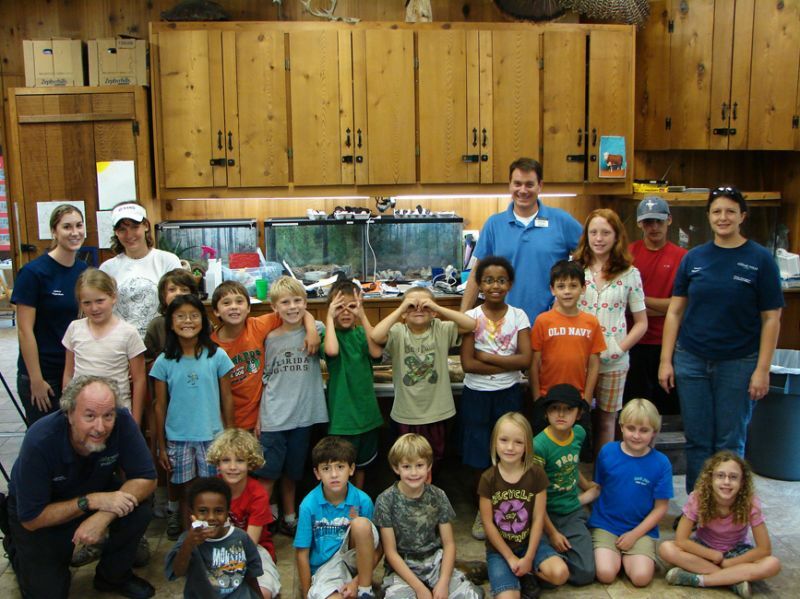 We also give tours to groups of Home Schooled students from around Alachua County and scientists visiting from other universities. In the past, museum specimens have also been used as references for vertebrate paleontology courses and courses offered by the Department of Anthropology at the University of Florida. Veterinarians have also visited the museum to learn more about dental form and function of marine mammals, elephants and horses. The Mammal Collection has provided information for past researchers and publications and continues to welcome visiting research within and outside of the UF community. 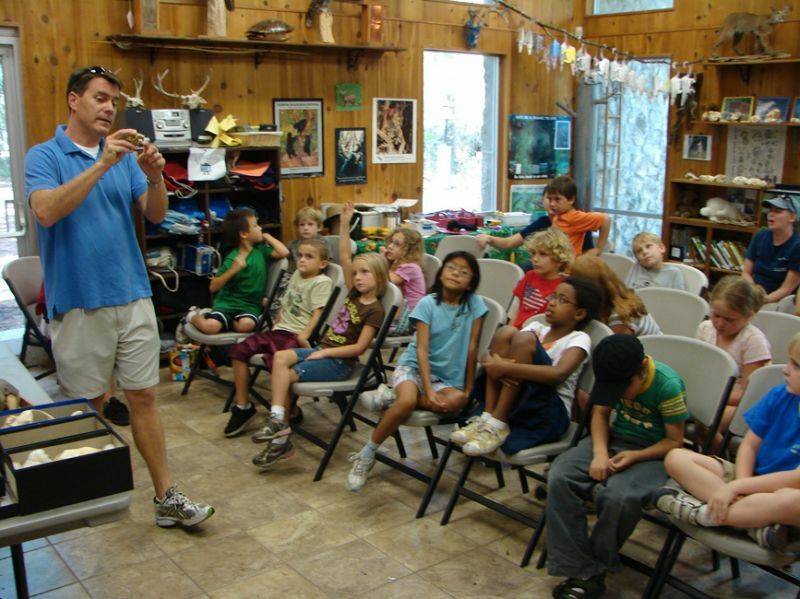 Dr. Reed presenting at the Morningside Nature Center. There is an increasing emphasis on the relevance of what a scientist does and how we impact society in general. This is manifested in many ways, for example, NSF now requires “Broader Impact” statements in grant proposals and explicit plans for how these kinds of activities will be accomplished. This course will explore ways in which scientists can increase our impact, particularly to society at large. During this seminar-format course, students will engage in active participation and discussion. The beginning of the course will feature class discussions led by the instructor and invited speakers. One outcome of the course is that students will develop a broader impact project based on their own research, which will be ready for implementation when the student is ready. 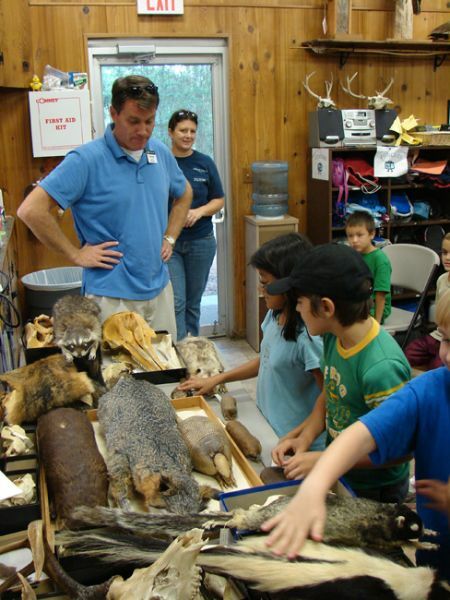 This course will focus on the field of mammalogy, and will contain both a lecture portion and a lab/field component. The lectures will take place M, W, and F mornings (to be scheduled). I anticipate two lab sections of fewer than 25 students each, which will likely meet on Tuesday and Thursday evenings. 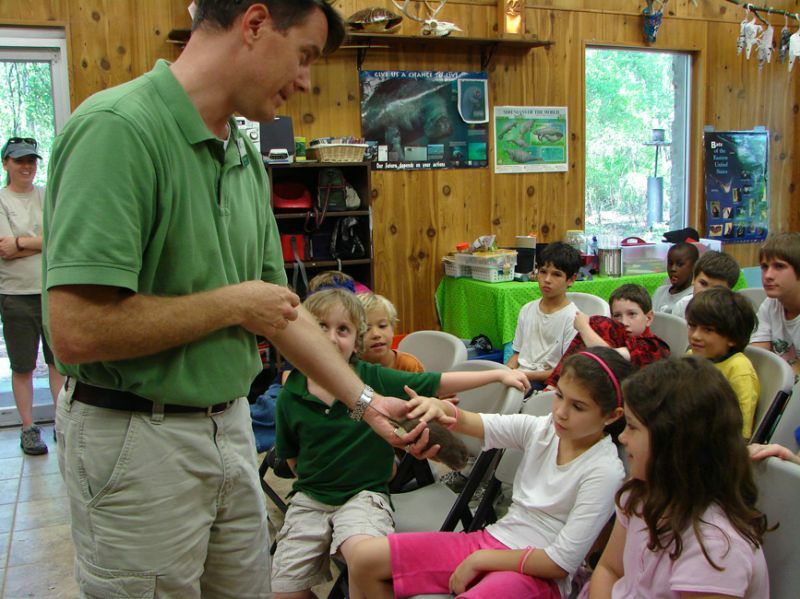 The lectures will cover aspects of mammalian physiology, ecology, behavior, and evolution. The lab will focus on mammalian identification (those local to FL as well as a worldwide diversity), specimen preparation, and field collections. The lecture will have 2-3 exams, and the lab will have 2-3 practical exams and an individual project, which must be written up as a report. This will be an intensive hands-on approach to learning about the theory and practice of evolutionary tree building. The first 2/3 of the semester will be spent learning about the various methods/philosophies of treebuilding, accompanied by computer time to learn various software applications for tree building and hypothesis testing. The last third of the semester will focus on the diverse applications of tree building from phylogenetics and phylogeography to phylogenomics, gene discovery, and beyond. Students will be expected to complete a project during the course of the semester, and a midterm and final exam will be given. This course is designed for graduate students and very exceptional undergraduates.